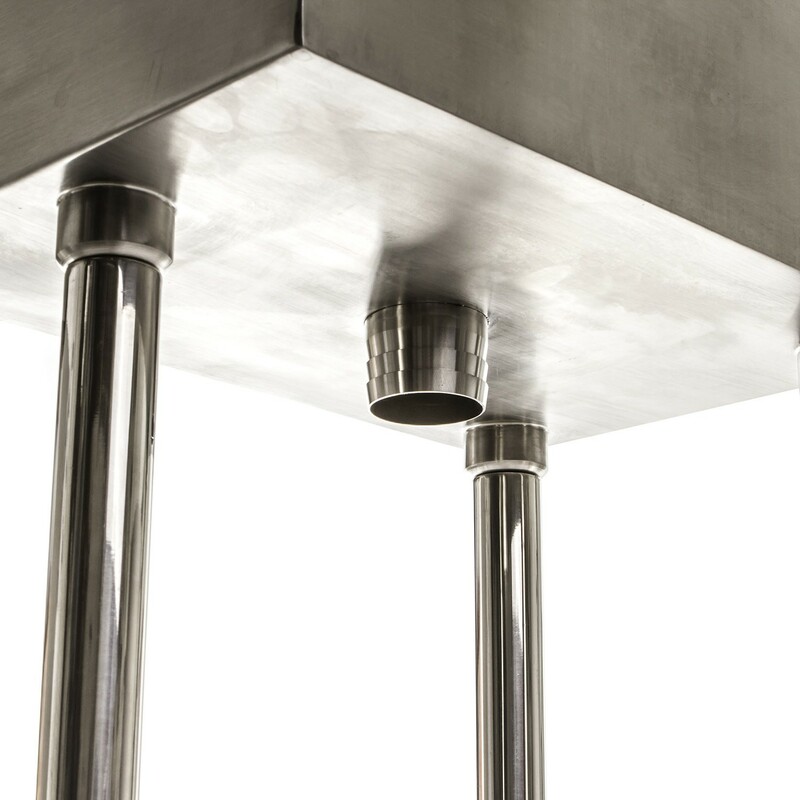 The Drain Strainer™ XL is our tallest model for use in high capacity kitchens that your commercial sinks flow into to protect your drains and grease trap from clogging. 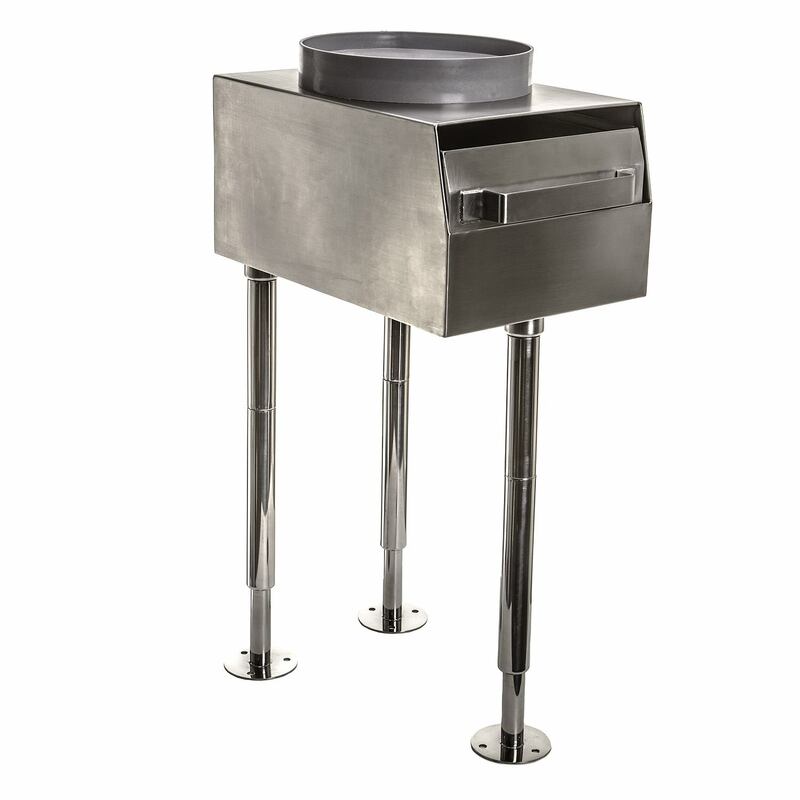 The flanged feet on the bottom can be bolted to the floor for added stability. To replace a commercial garbage disposal, the three adjustable legs can be raised up to install the crown adapter snugly against the bottom of the sink bowl. I am a field supervisor for a plumbing company in Fremont, CA. After doing a lot of research on this type of product, we elected to purchase units from The Drain Strainer. We were not disappointed. 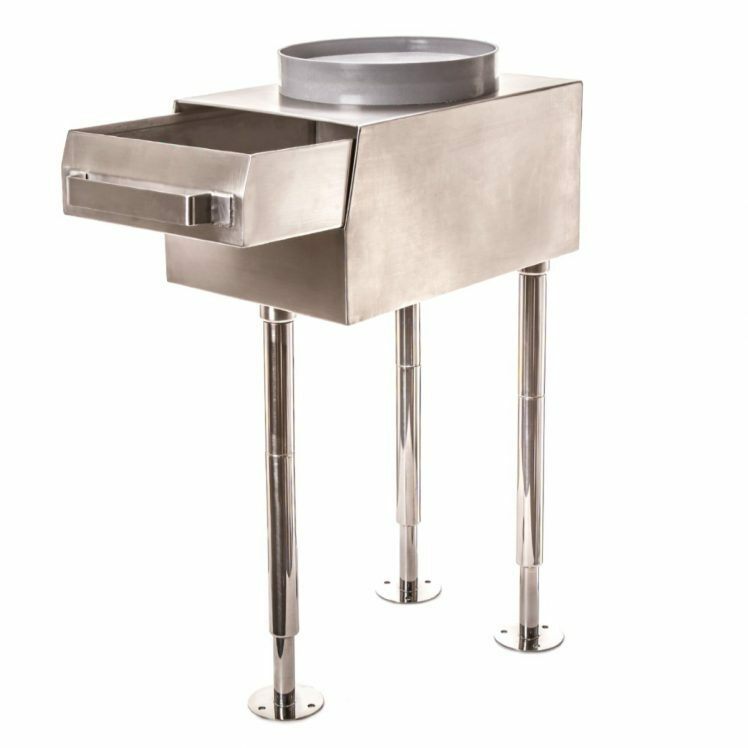 This is the best unit on the market for replacing a commercial disposal prep sink in a commercial facility. The customer is very pleased. We will certainly buy again. My customer has been more then pleased with their new Drain Strainer and as an added endorsement my customer has noticed service requests for drain stoppages cut in half through out the kitchen. 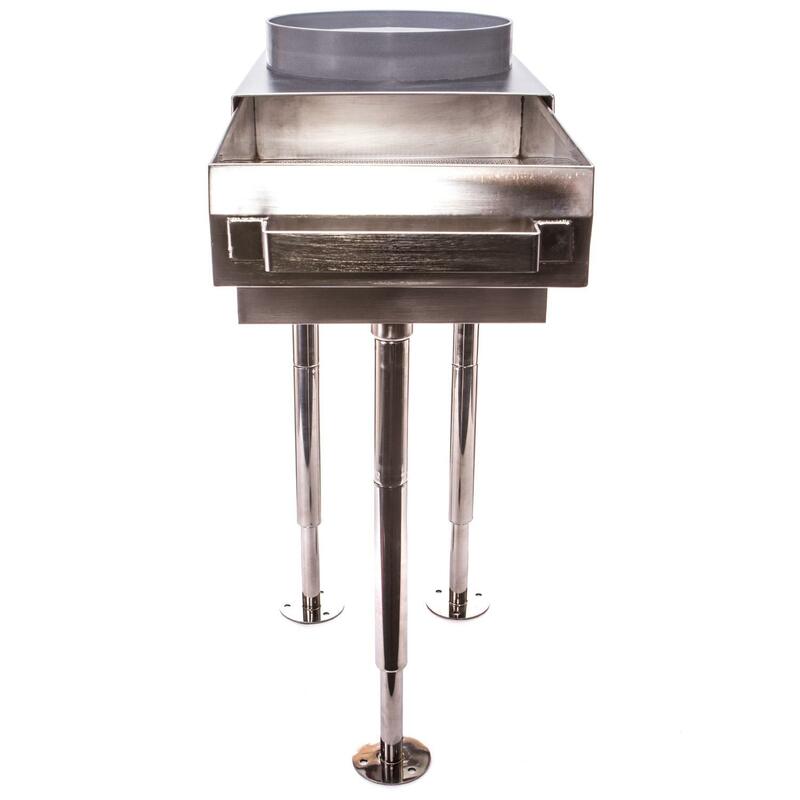 We fully endorse and recommend The Drain Strainer for its functionality and ease of installation. Easy to install and requires no maintenance. It is definitely safer than a garbage disposal. In Austin, we love our casual clothes, vegan food, and Patchouli. Every day it is a city mandate that at 4:20, we each go out, hug a tree and tell it “thank you.” We also are not allowed to replace disposers. If a disposer fails, it can be repaired because it was grandfathered in, but it cannot be replaced without paying a significant fine. The city is very water use conscious and big on green initiatives. This has been our answer. We have had nothing but fantastic reviews from our customers. 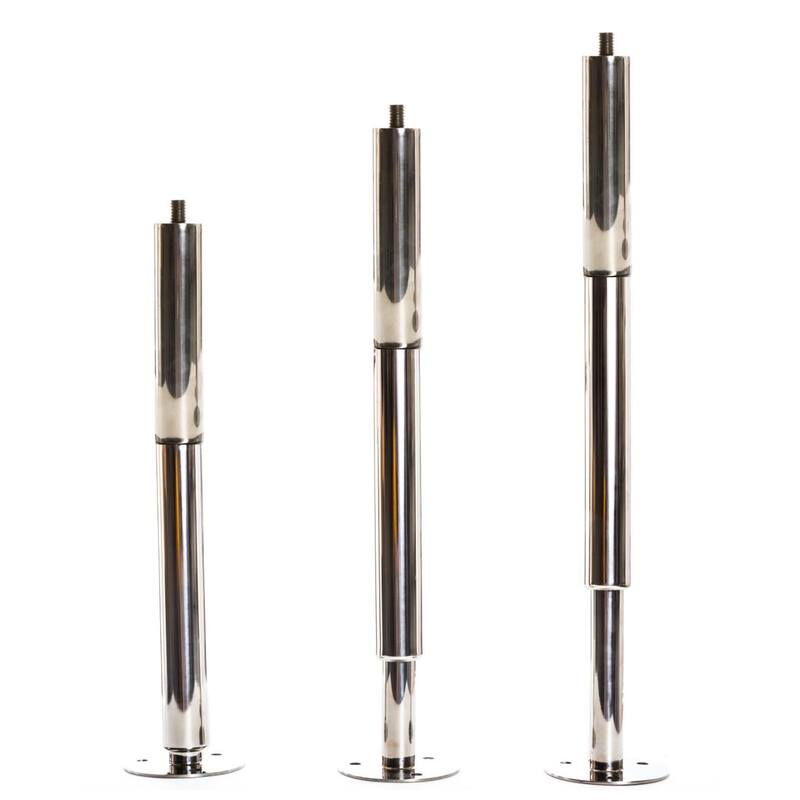 They are easy to install, no maintenance is required, and since there are no motorized parts they are a safer alternative to a disposer. To date we have installed a dozen or more for customers in the Austin and San Antonio areas. 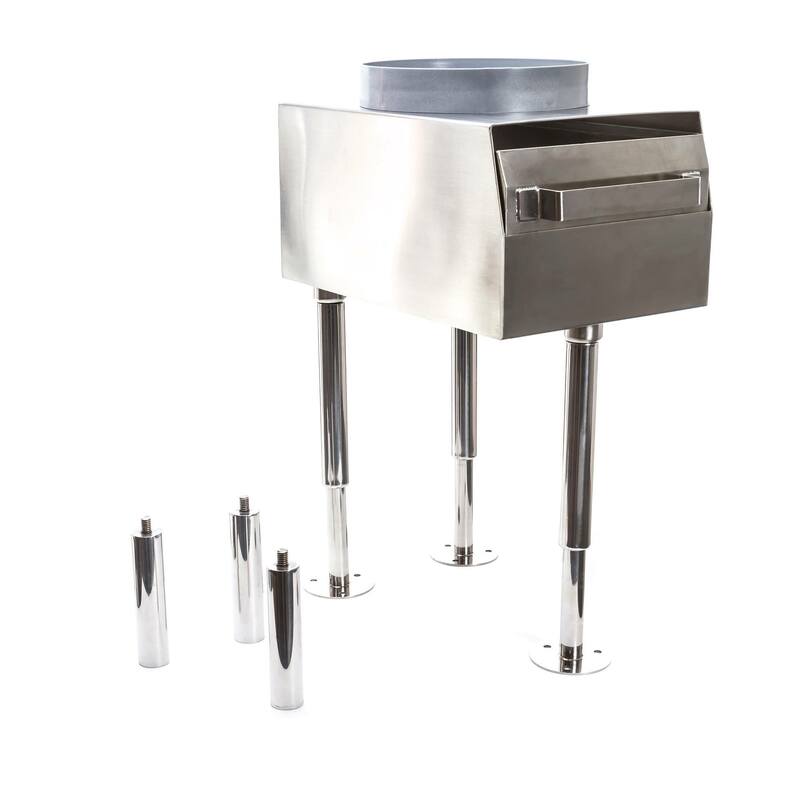 We absolutely love them & will continue to use them as an “eco-friendly” and safe alternative to disposers.